Synchronize your network with highly accurate time with a standalone, internal NTP server. Accurate time is essential for all businesses that want to operate effectively and productively. But, not all NTP time servers are necessary for small to medium-sized companies. 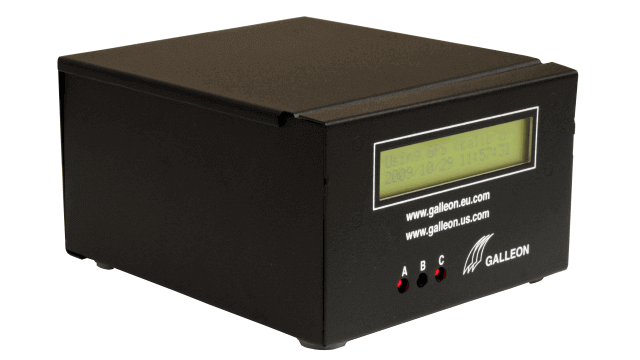 Galleon Systems has made accurate time accessible to anyone with the NTS-4000-S internal NTP time server. 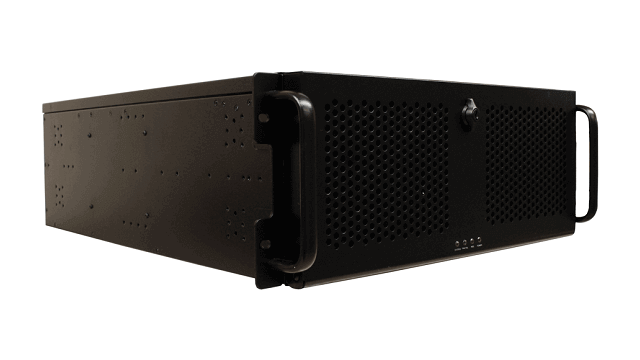 Complete with all the benefits of a standard NTP time server in a compact, standalone unit, the NTS-4000-S can be placed in the most convenient location for you, without the need of a 19” rack. 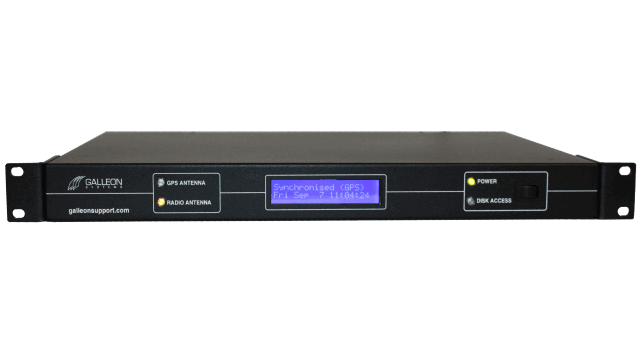 With low power consumption, the NTP time server stays cool and remains efficient, resulting in lower costs throughout its lifetime. 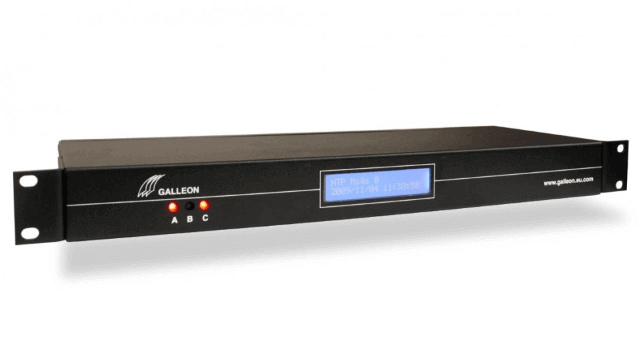 It’s the ideal entry level NTP server for small-sized networks. 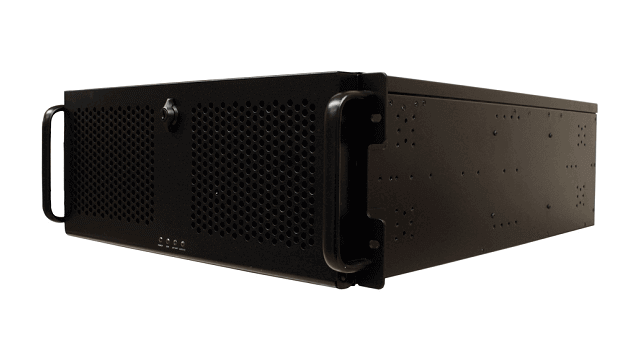 In being affordable and space saving, the time server doesn’t compromise on its reliability, security accuracy. Receiving 3,000 NTP requests per minute to an accuracy of 1 microsecond, it provides your internal network highly accurate time, all the time. The NTP server sits within your firewall, meaning your network is safe from attack. This makes it much more secure than any free, public NTP time servers, which leave your internal network open. A six-year warranty and lifetime support also ensure you’ll receive the help you need to install, operate, and maintain your NTP server. 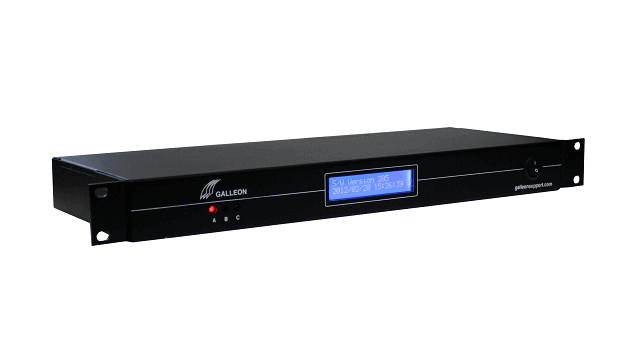 With clients that include Vodafone and Ford, you can trust Galleon Systems to provide you an accurate time solution.